To offset habitat loss from energy development, wildlife managers are experimenting with large-scale sagebrush fertilization on western public rangelands. We synthesize what is known about basic sagebrush ecosystem biogeochemistry and ungulate nutritional ecology to anticipate the benefits and risks of this emerging mitigation tool. Published in the Wildlife Society Bulletin. 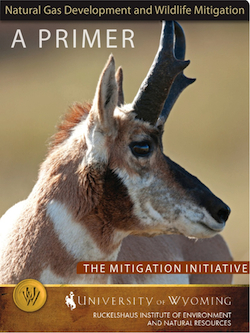 This primer lays an informational foundation and understanding of terminology for mitigation stakeholders. 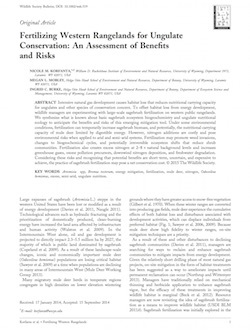 It outlines the mitigation process (avoidance, minimization, and compensation) and sets the stage for wildlife mitigation triggers and guidelines surrounding natural gas development in Wyoming. 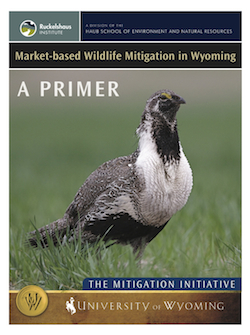 This publication surveys existing wildlife mitigation practices for wind energy projects and explores what might be next for wind as development moves increasingly to federal lands and may be subject to increased permitting and mitigation requirements. 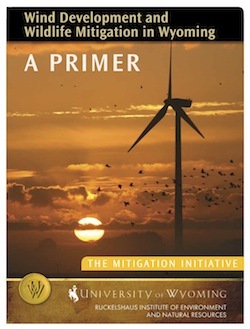 It is meant to help land and wildlife managers, decision-makers, and industry better understand the context of mitigation and wind energy development. Return to the Energy Mitigation Initiative homepage.